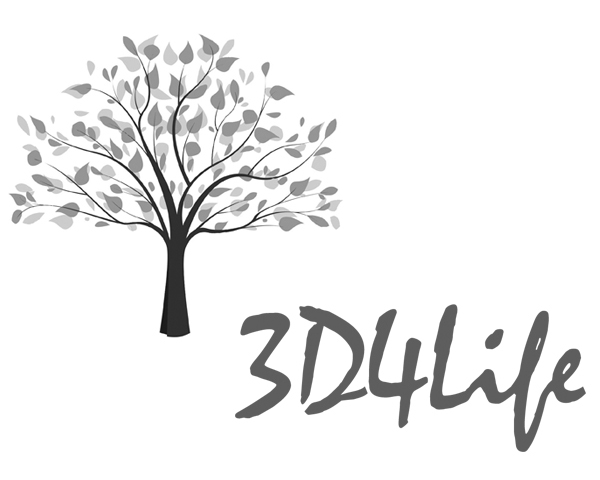 3D4LIFE: Visualization, modeling, simulation and interaction with 3D models. Applications in life sciences and urban environments. Contact: Andújar, Carlos; Vázquez, Pere-Pau; Patow, Gustavo A. In this project, we focus on dealing with large models stemming mainly from two fields: life sciences and urban modeling. In life sciences we address three distinct sources of information: medical imaging devices (in the context of specific diagnostic problems and for training), molecular simulations in pharmacology, and biomechanical data. Concerning urban modeling, we focus on the generation of plausible models (geometric models, simulation of crowd behaviors, and of the decay due to natural processes) from the raw data. The data-capture systems in use in these applications (for example digital cartography or LIDAR scanners) provide models with incomplete information, or with not good enough quality for the applications we envision in engineering, architecture or smart cities. The general objectives of this project center on visualization, modeling urban environments, interaction and simulation of natural phenomena and the behavior of people and crowds. Despite the transversal nature of the proposed work, the specific objectives are conceived to facilitate the development of 3D applications meant to improve the quality of life of the people, both in their health (support for clinical diagnosis, simulations in sports biomechanics, design of new digs) and in their immediate surroundings (crowd behavior simulation, sustainable urban design, cultural heritage, energy efficiency analysis). The analysis of the morphology and content of the gut is necessary in order to understand metabolic and functional gut activity and for diagnostic purposes. 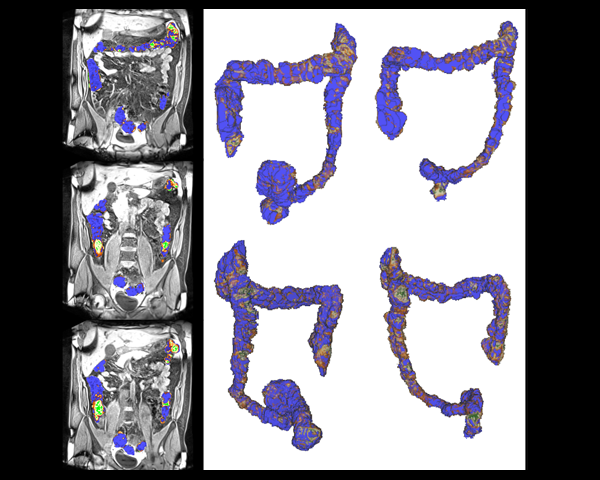 In this project we are developing new techniques for the automatic segmentation of the unprepared colon from MRI and CT images and for the analysis of the colon content. The results of the assessment contribute to a better understanding of the functionality of the colon. With this Project we are developing tools to be able to move files generated with Rhinoceros SW directly into Unity 3D for visualization using immersive virtual reality (Oculus Rift and HTC VIVE). Our tools automatically process the geometry for rapid visualization, computes texture coordinates, applies the right normal maps, and handles illumination. All together our tool provides a high quality immersive visualization that offers the architects a whole new approach to building design. As part of this project, we are also developing 3DUI for real time interaction with the architectural models. Develop some anatomical models and render them in immersive interactive environments (in-house VR environments) to complement the training in anatomy of students of the nursery school. The students inspect the anatomical models in 3D by using the ViRVIG equipment. Els models urbans són sistemes geomètrics complexos necessaris per a l’anàlisi en aplicacions de diversos dominis, com ara la simulació ambiental, la planificació urbana o la visualització de dades urbanes. La generació d’aquests models de forma robusta i precisa per diferents propòsits és un repte. L’ objectiu principal d’aquest projecte es el de desenvolupar nous mètodes per a la generació de models urbans adequats per a diversos tipus de simulació. Així mateix, els models de simulació existents seran adaptats pel ús eficient en models urbans complexos. Els àmbits de simulació en que es treballarà seran: avaluació energètica (anàlisis tèrmic i lumínica), modelat de degradació temporal de materials urbans i anàlisi d’evolució temporal dels canvis urbans. A banda de la robustesa dels models i la seva flexibilitat pels propòsits de simulació, també es buscarà desenvolupar noves interfícies d’usuari per a la generació i edició del models, donant a l’usuari la capacitat de modificar interactivament i de forma natural els components del paisatge urbà. Financing institution: Fundación BBVA de Ayudas a proyectos de Investigación. El proyecto “Atapuerca-evolución. Videojuegos educativos” pretende potenciar la simulación, entendida como estrategia educativa en un horizonte interdisciplinar que sintonice con el desarrollo tecno-científico. El objeto sobre el cual se ejemplifica la propuesta de gamificación es el yacimiento de Atapuerca, con sus diferentes variables espacio temporales, y teniendo en cuenta las certezas e incógnitas que sobre él inciden. 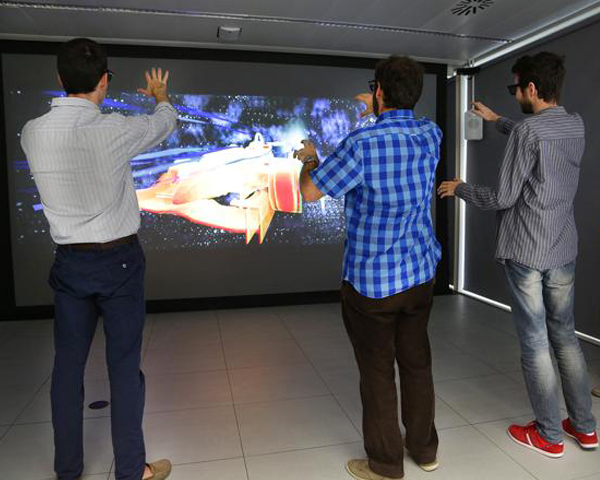 Since 2016 and using the UPC - Virtual Reality Center facilities, we have been developing a series of projects involving Virtual Reality devices and Unity3D for developing different applications and serious games related to medicine, virtual interaction, etc. The final goal is to allow to the students how to interact with immersive 3D scenes. 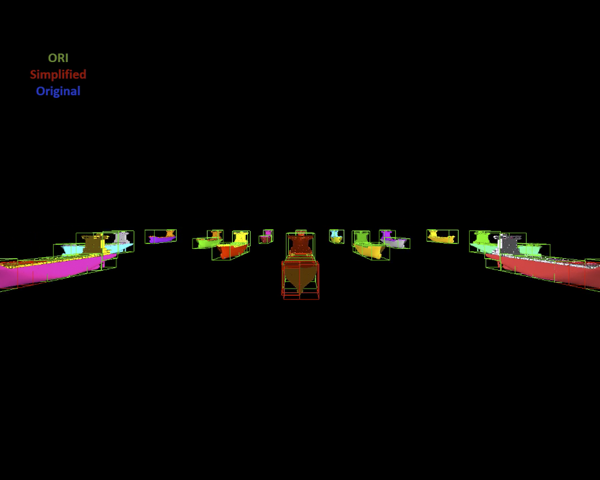 Simulation and validation of the assembly process of the headlight of a car in a virtual reality environment. Project linked to the Catedra Seat of the ETSEIB of the UPC. 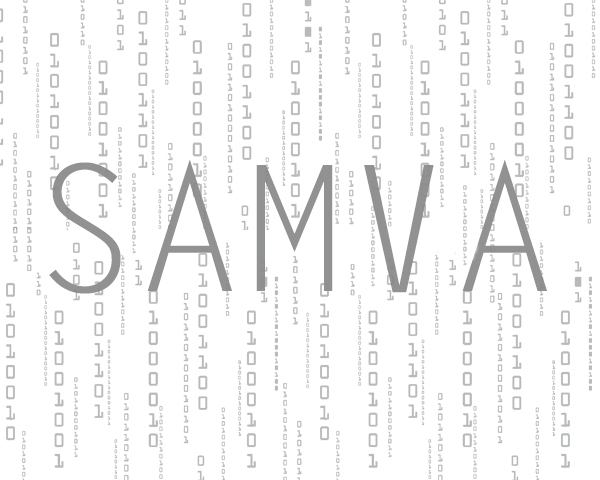 This project addresses the problem of finding new mechanisms for the processing, presentation, manipulation and interaction with huge data sets, that maximize their ease of comprehension, and that do that in an efficient way. The project also deals with the development of new interaction techniques based on capturing user movements. 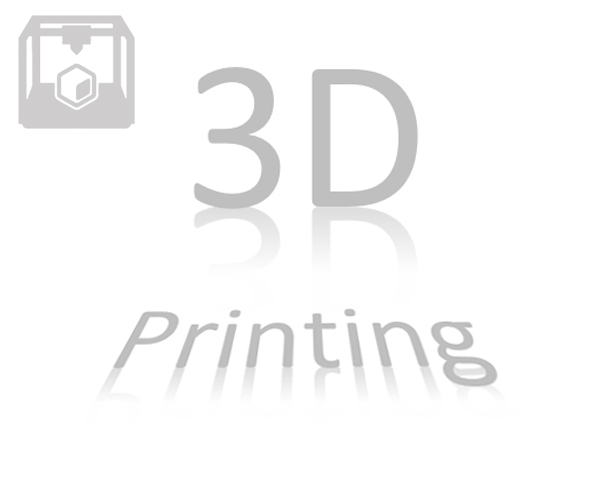 Despite the cross-subject nature of the task we propose, our specific goals are oriented towards providing the required technologies to facilitate the development of 3D applications targeting life quality improvement, both in health aspects (medical diagnosis, drug development) and human environments (crowd simulation, urban planning, cultural heritage, energy analysis). 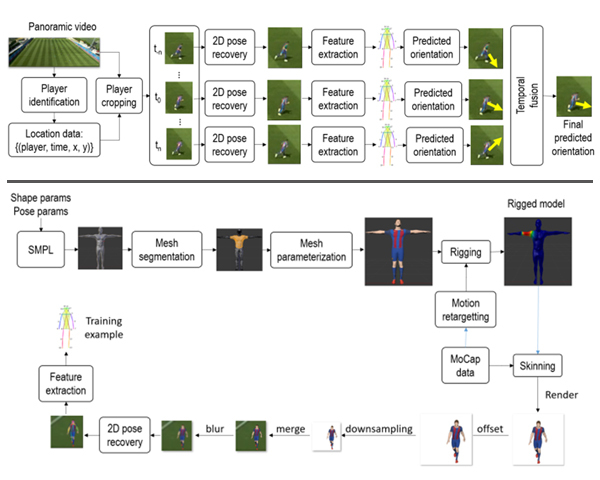 Recent research in team sports has focused on tactical and performance analysis using player positions (recovered through optical tracking), but other features have not yet been neither provided nor analyzed from a quantitative perspective. In this project we explored alternative player features through the analysis of data bases of soccer players. The project includes the design of the virtual reality system, called 3D room, and different software. The calibration software to calibrate all the projection areas and the visualization software to visualize and interact with virtual models. The 3D room consist in a projection screen of 4.5 x 2.7 meters in which, through different zones of projection (tiling display), achieved a resolution of about 4500 x 2100 pixels. 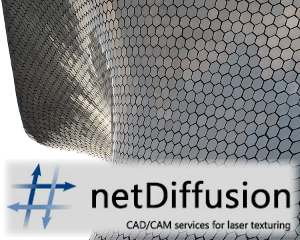 Design and implementation of geometry processing algorithms for the laser texturing field. 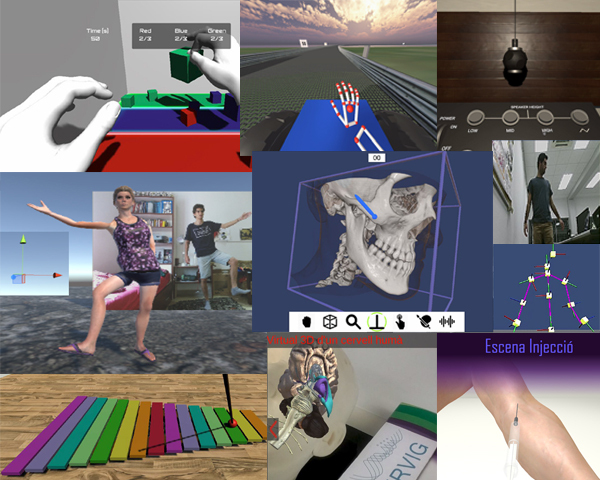 Development of virtual demonstrators for the physically-based rendering of people. The project goal is the acquisition, reconstruction and interactive visualization of huge digital models. 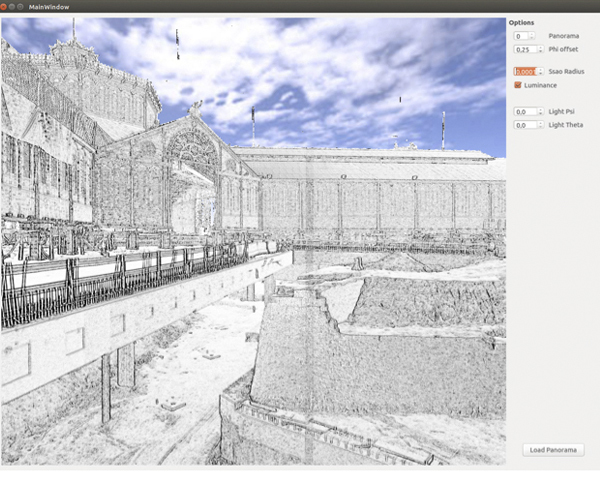 It started with the reconstruction of the digital model of the Sant Antoni Market in Barcelona. Scan data from 31 time-of-flight different captures were processed into a registered point cloud of 3500 millions of data points. Panoramas were automatically generated for interactive data inspection. Ambient occlusion was included to enhance visual representations. The project aimed at developing systems for analysing eye-head coordination of people in daily tasks, through the use of visual stimuli and tracking systems. Design and implementation of a system to provide augmented documents. 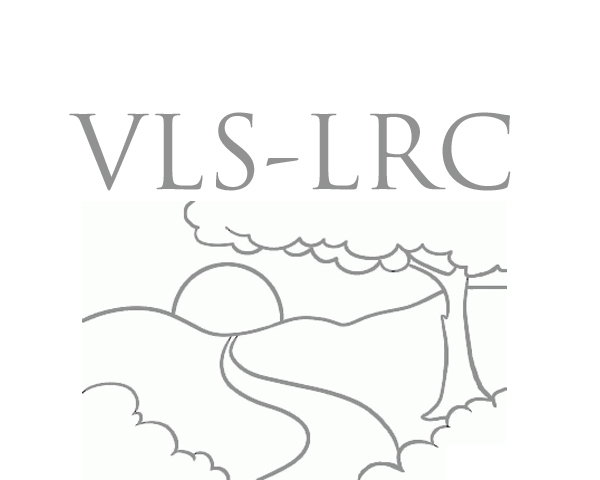 This project is the framework for the research of the ViRVIG group in 2014. It addresses the problem of finding new mechanisms for the presentation, manipulation and interaction with huge data-sets, that maximize their comprehension, and that do it an efficient way, both is terms of computing effort and of resources needed. This project is the framework of the ViRVIG research. 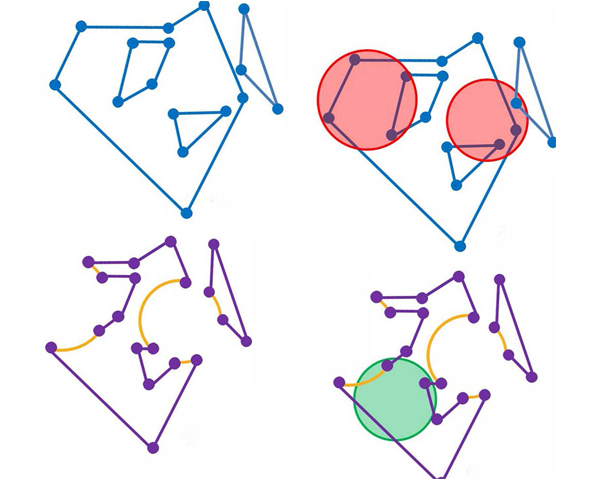 It is concerned with improving the efficiency so that higher quality renderings become available for complex models at the demanding speed needed by stereo applications and mobile architectures, with enhanced, specially tailored interaction mechanisms, and with obtaining improved geometric data mining algorithms to facilitate operating on these datasets. Although these problems are of a fundamental nature, we find it advisable to focus on two sufficiently distinct and complementary applications to both serve as guides and concept-demonstrators: the modelling of large urban environments and the handling of volumetric models in medicine. This project aims to model the appearance of complex materials under different viewpoints , based on information from the laws of physics , the estimate from images , as well as interaction with a non-specialist user. The aim is to define a new way of modeling the appearance that is hybrid between the three options , and study when an option is best or a combination of several options. 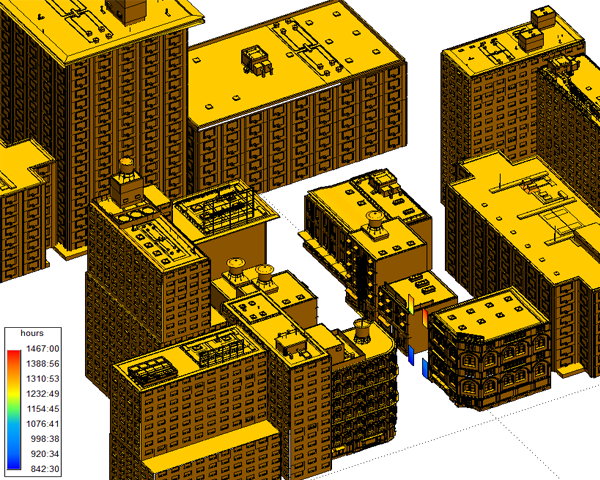 Advise on the development of an application for viewing large files (approximately 250K polygons ) of construction structures in an augmented reality environment. Implementation of the Viewer. The understanding and simulation of the temporal evolution of urban environments is crucial not only for historical studies, but also for urban planning in modern cities. 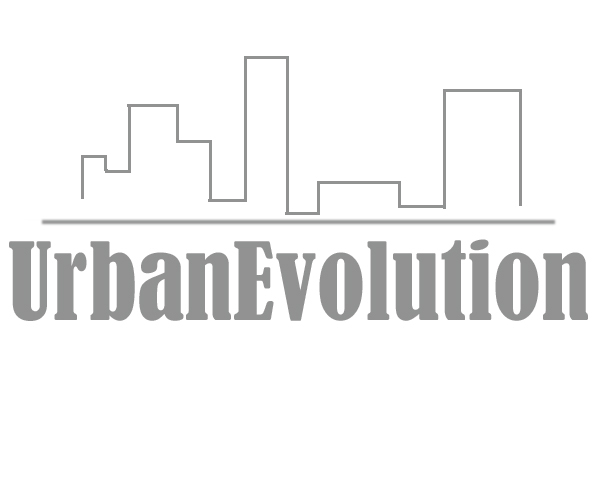 This proposal presents urbanEvolution, a project that aims to develop the first techniques ever for a user-controlled, automatic study of the evolution of buildings and whole cities over time. This study is expected to be done through the definition of urban states, which are procedural snapshots of the structure of an architectural or urban element; and operators, which produce discrete evolutions in these states into new ones reflecting the changes over time. The goal of this project has been the design and construction of a novel, four wall multi- projector CAVE VR system which is powered by 40 off-the-shelf projectors controlled by 12 PCs. 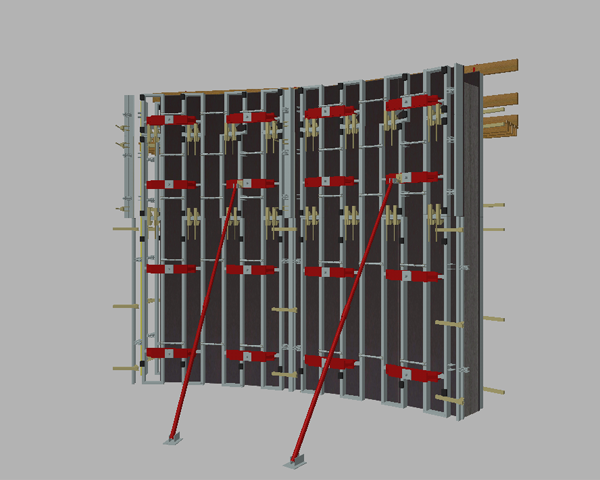 It operates in passive stereo, providing high brightness at 2000 x 2000 pixel resolution on each of the 4 walls. We have achieved high resolution while significantly reducing the cost and increasing versatility: the system works with any mix of a wide range of projector models that can be substituted at any moment for more modern or cheaper ones. The uniformity of the final image is achieved using a specially designed self-calibration software which adapts each of the 40 projectors and guarantees concordance and continuity. 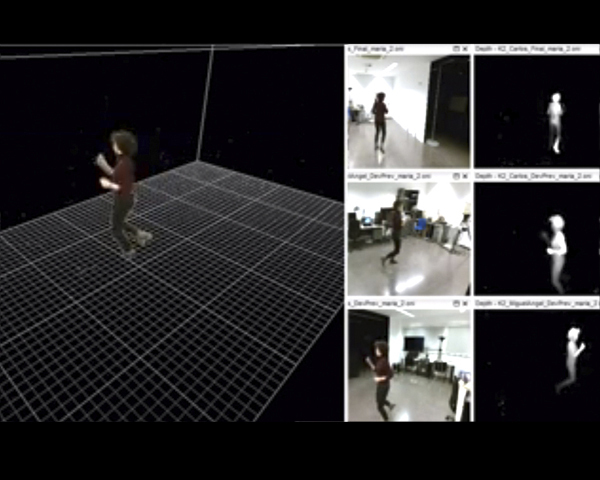 The system includes a gesture-based interaction approach based on a clever combination of skeletal data from multiple Kinect sensors. Interaction is intuitive and cableless. 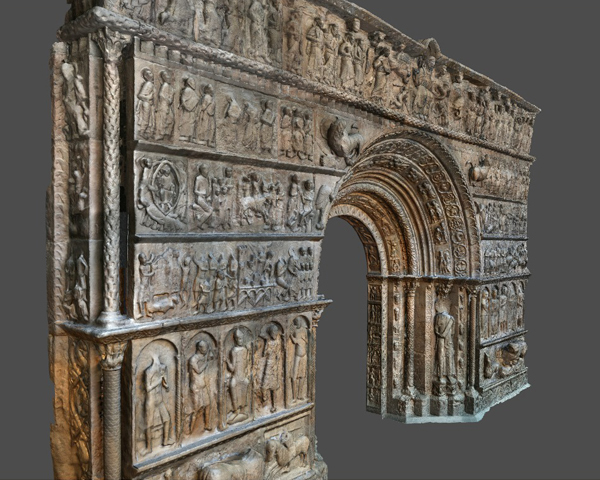 The project involved a high-fidelity acquisition of the geometry and appearance of the Romanic entrance of the Ripoll Monastery in Catalonia, its geometry processing and repair, the creation of a multiresolution digital 3D model involving a precise mesh of 173 millions of triangles, and a set of user-friendly visualization tools. The project resulted on a fruitful cooperation among the Museu Nacional d'Art de Catalunya (MNAC), the Polytechnical University of Catalonia (UPC) and the Visual Computing Laboratory of ISTI-CNR in Pisa. The result was open to the public in the MNAC exhibition named "The Romanic Art and the Mediterraneum: Catalonia, Toulouse and Pisa" from February to May 2008, and is now visible as part of its permanent exhibition. 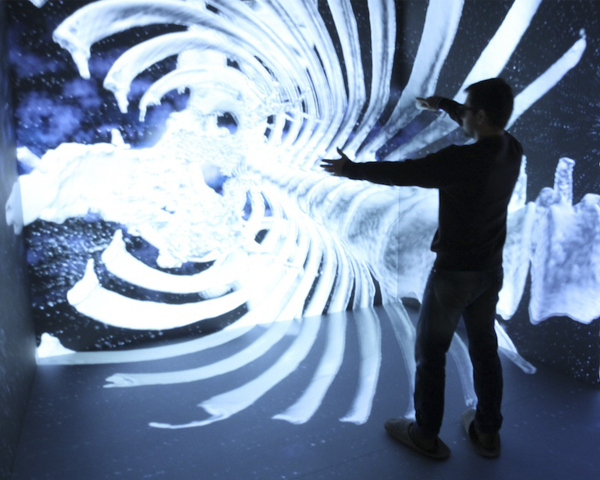 Visitors to the exhibition interact with the virtual reproduction in an immersive VR kiosks. Using a touch-screen and a back-projection display screen with passive stereo, visitors can simply navigate and zoom-in in different parts of the entrance, or they can get further information just by touching different "hotspots" that make 3D information boards appear in front of important components of the façade. 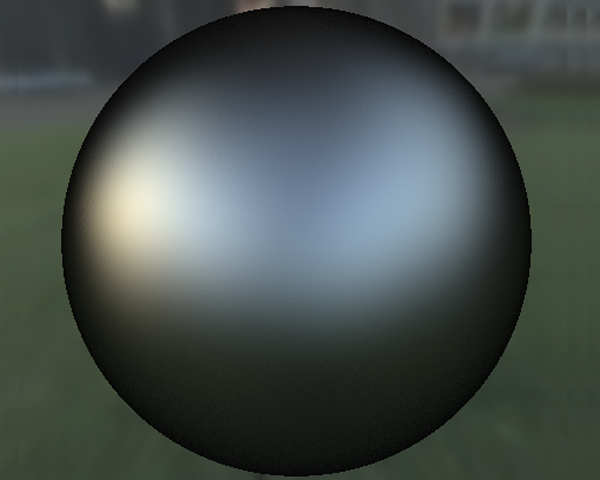 HDRi: The digital capture, storage transmission and display of real-world lighting. 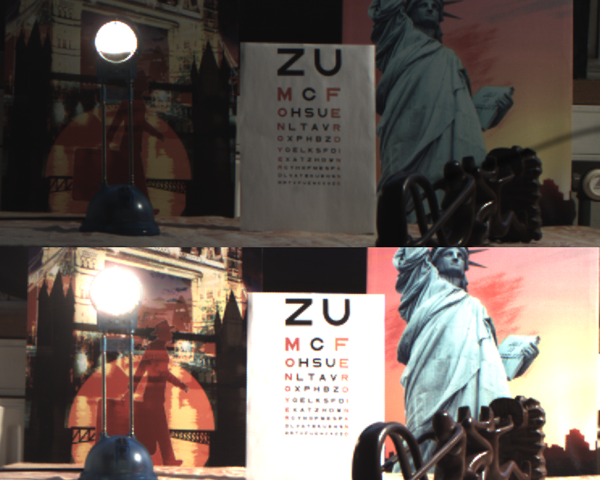 Widespread uptake of HDR requires common interface standards. Currently they do not exist. There are isolated pockets of high-quality HDR endeavour across Europe, but not a co-ordinated approach. 2009 saw the appearance the first commercial HDR display and the world’s first HDR video camera. These European-led developments reinforce the timeliness of developing HDR standards and the special position Europe is in to lead the rapid acceleration of future HDR developments and market penetration. 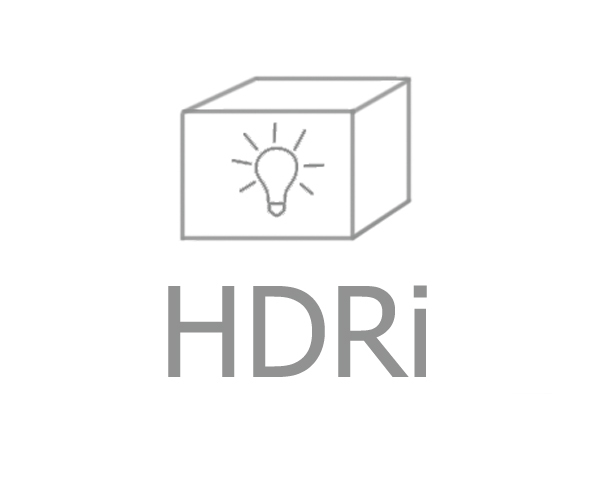 This COST Action (HDRi) assembles leading academic and industrial researchers and practitioners to propose a set of standards for the complete HDR pipeline and establish Europe firmly as the world leader in HDR. 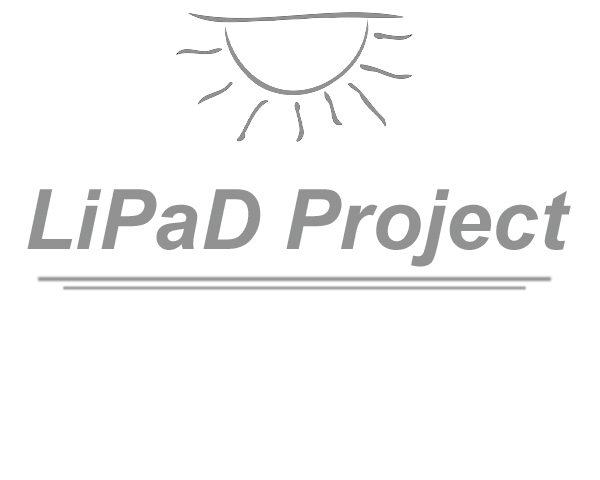 This project has focused on developing methods where only a single photograph is required to extract the values of human skin reflectance. Two methods have been developed for this purpose, a skin-specific method and a more general approach dealing with all kinds of translucent materials. 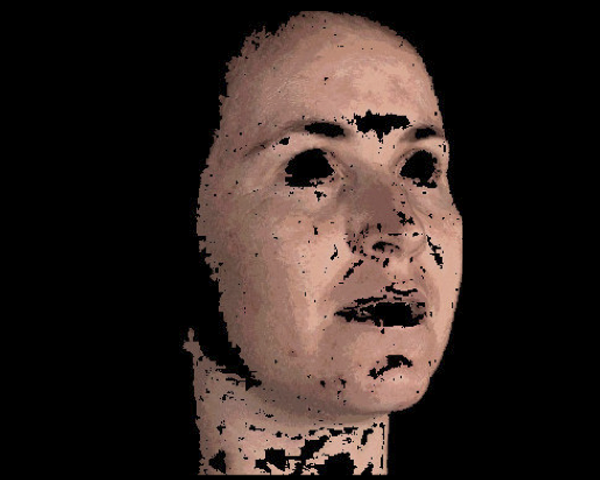 We have also investigated the automatic mapping of facial textures onto 3D models, which is a major challenge when modeling virtual characters. High-Dynamic Range imaging for uncontrollable environments. 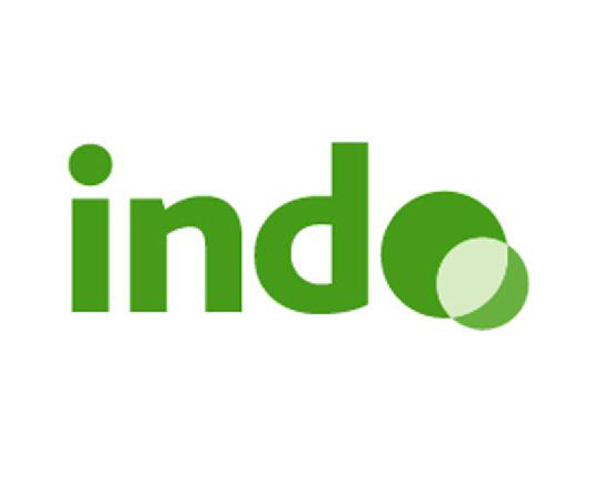 Financing institution: Ministerio Español de Educación y Ciencia. We propose to explore a new approach to create high-dynamic range content with physically accurate radiance values from multi-exposed photographs. 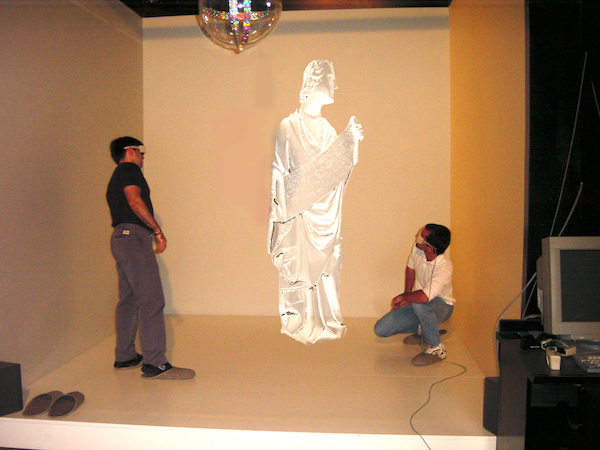 Accurate radiance values haven’t been so far ensured by previous methods but are crucial for research in illumination for mixed reality, image processing and photogrammetry. Our aim is to address a wide range of cameras and scene contents, including uncontrollable environments, such as exterior scenes with pedestrians or vegetation subject to wind. This involves solving ill-posed mathematical problems that are extremely difficult to solve, on uncontrollable data. Solutions should be as automatic and as free from user intervention as possible. BAIP 2020 is the first Cenit Project approved by the CDTI in the naval and maritime sector. 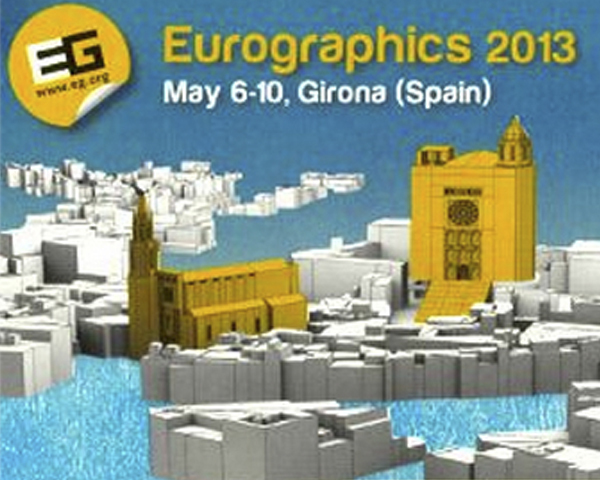 ViRVIG was involved in the development of High-end graphics software for the collaborative design of very large models. 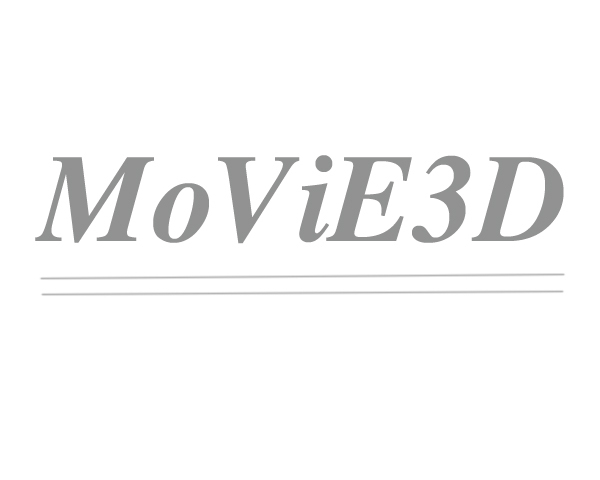 MoViE3D. 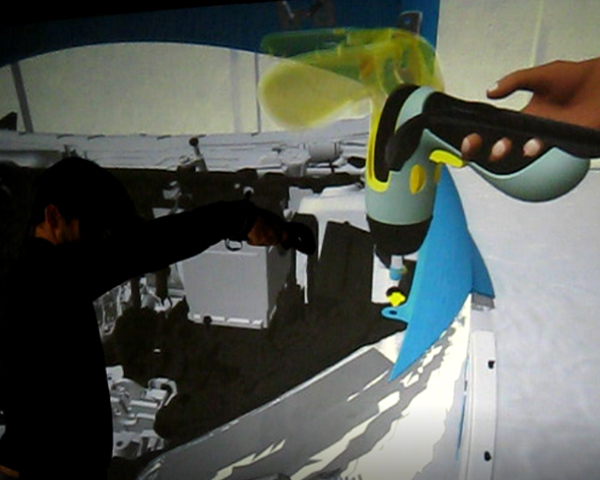 Modeling, visualization, animation and analysis of highly complex 3D environments in interactive virtual reality systems. Financing institution: Ministerio Español de Educación y Ciencia. TIN 2007-67982-C02. In aiming to extend the virtual reality experience to ever larger models and scenes, innovative, efficient and scalable solutions are required in many fronts to make it possible. 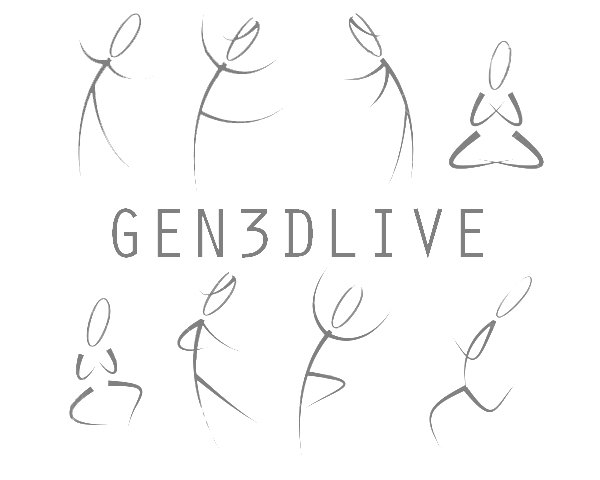 This project intends to push the frontiers of this technology in ways that will allow users to experiment virtual immersion in scenes of previously unmanageable complexity, whilst providing to bring the experience to more mundane environments and budgets. We propose to work on several fronts: real time rendering, physical-based animation, crowds simulation, development of new and flexible VR devices and representation and analysis of terrains. we intend to evaluate the results by developing demonstration packages in the areas of medical and cultural heritage applications. Financing institution: AGAUR, Agència de Gestió d'Ajuts Universitaris i de Recerca. Generalitat de Catalunya. 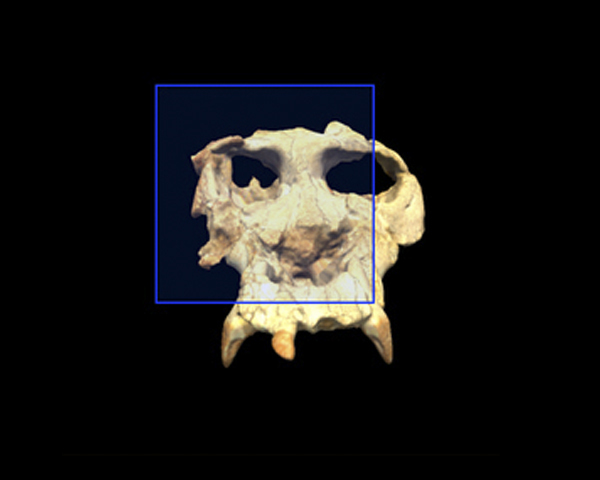 Development of a Virtual Reality application to visualize and study the fossils of the Pierolapithecus skeleton. The project includes: the 3D acquisition of the real bones, in high and low resolution; the construction of the complete model and hand; and the interactive application to inspect the model through a tactile screen and adding also textual additional information and different comparisons with other hominids. 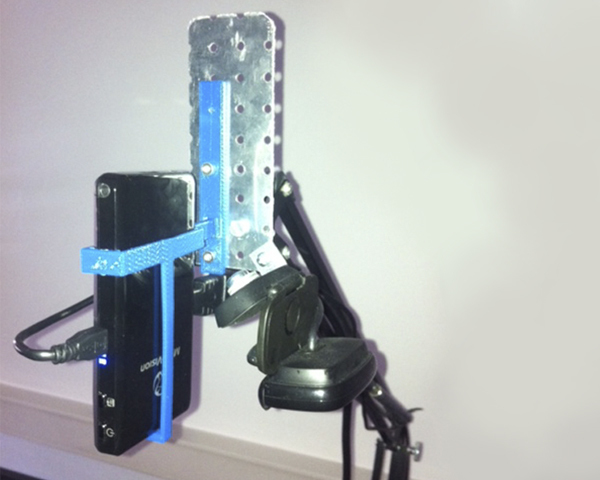 Towards a Touching Presence: High-Definition Haptic Systems. This is a EU FET Funded Integrated Project with 9 partners. It's over goal is to enhance multi-modal interaction within virtual and mixed reality, particularly concentrating on haptics. At UPC our goal is a characterisation of interaction from the point of view of presence - for example, between people interacting together in a haptic mode, or haptic manipulation of objects. 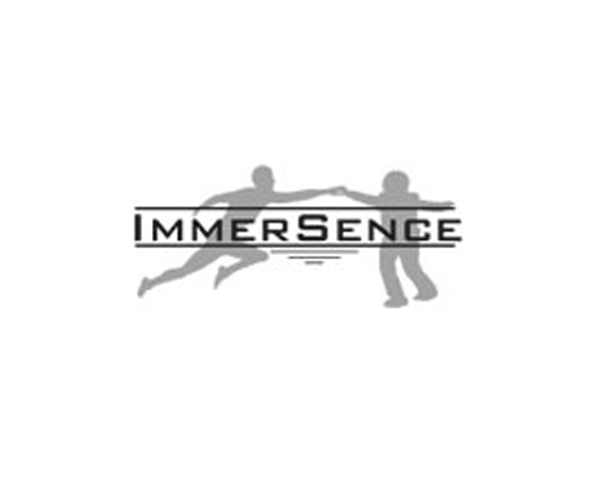 Presence: Research Encompassing Sensory Enhancement, Neuroscience, Cerebral-Computer Interfaces and Applications This Integrated Project will undertake a Research Programme that has as its major goal the delivery of presence in wide area distributed mixed reality environments. The environment will include a physical installation that people can visit both physically and virtually. The installation will be the embodiment of an artificial intelligent entity that understands and learns from its interaction with people. 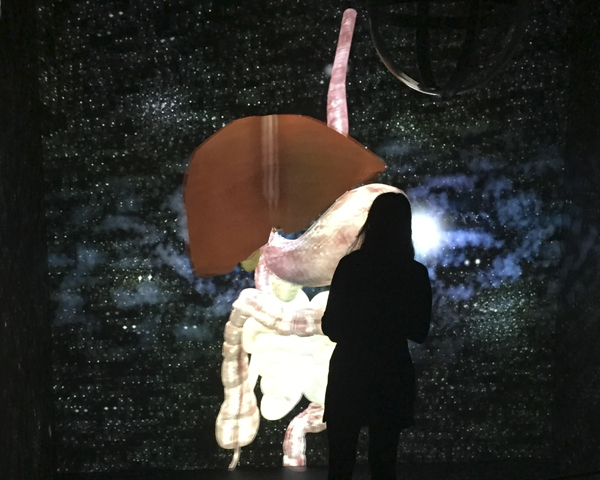 People who inhabit the installation will at any one time be physically there, virtually there but remote, or entirely virtual beings with their own goals and capabilities for interacting with one another and with embodiments of real people. Specific subclasses of the installation will be used for the construction of a number of application scenarios, such as a persistent virtual community that embodies the project itself. The core methodology will be to achieve this through the identification, understanding and exploitation of cerebral mechanisms for presence in conjunction with advances in the underlying technology for mixed reality display and interaction, with special attention to the interaction between people, and also between people and virtual people. Such cerebral mechanisms will be the basis for a core aspect of the IP which is the exploitation of brain-computer interfaces. Processes within the environments adapt and correlate with the behaviour and state of people, and in addition people are able to effect changes within the environment through thought as well as through motor actions. 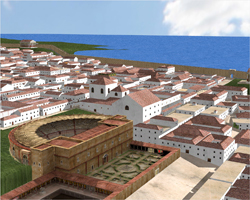 This project aims at building a virtual reconstruction of the ancient roman city of Tarraco as it was 2000 years ago. Project founded by the Spanish government. 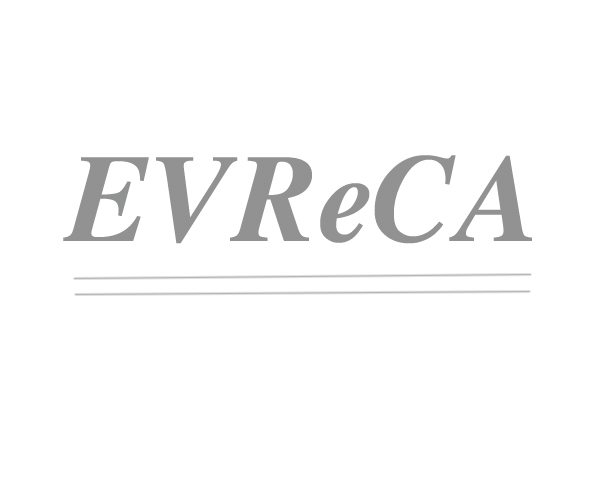 Cooperation with Recol Networks and Digivision. The ViHAP3D Project aimed at preserving, presenting, accessing, and promoting cultural heritage by means of interactive, high-quality 3D graphics. The project aimed at the development of new tools in the problem areas of (a) 3D scanning for the acquisition of accurate and visually rich 3D models, (b) post-processing, data representation, and efficient rendering for the detailed interactive display and inspection of such models even on low cost platforms, and (c)virtual heritage tools for the presentation and navigation in high-quality digital model collection. Public webpage developed by DaH!